The mission of Houston County State Court is to seek justice and truth in everything we do. To accomplish our justice mission, we focus on three important areas: efficiency, innovation, and service. Jason E. Ashford is the State Court Judge for Houston County, Georgia, where he was elected in November, 2010. As State Court Judge, he presides over civil and criminal jury trials and is a vocal advocate for mediation, court technology and docket efficiency. Prior to taking the bench, Judge Ashford was a prosecutor for over a decade. He was the District Attorney and Chief Assistant District Attorney in Houston County, where he was responsible for prosecuting serious violent felonies and homicides. He is an adjunct professor for almost 15 years for Macon State College specializing in Computer Law and taught Government Contracting for several years at Georgia College and State University. He is the author of many articles in academic and practitioner publications, and travels regularly to speak on issues of prosecution ethics and technology. 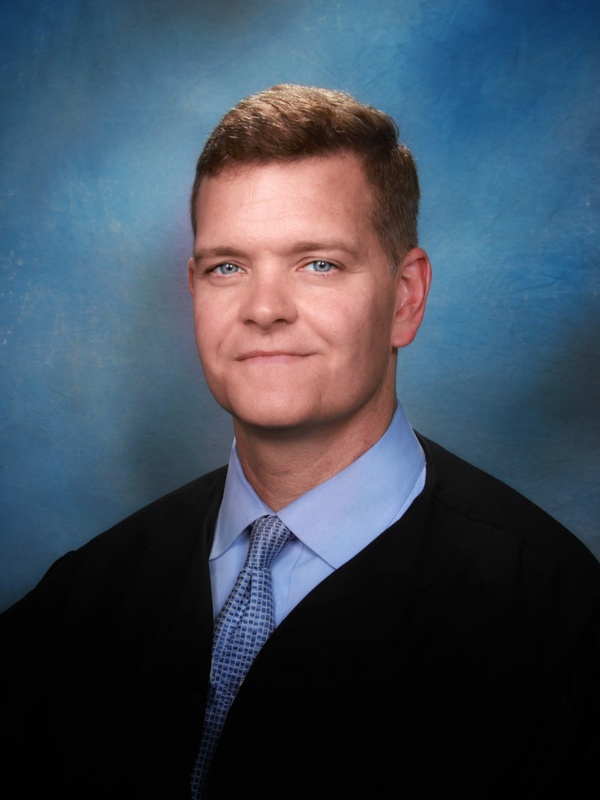 Judge Ashford holds a Bachelor of Science in economics and a Juris Doctorate, both from Florida State University. He is a former President of the Warner Robins Optimist Club and the Houston County Bar Association, and is active in community and philanthropic organizations. Efficiency is hearing cases without undue delay, moving cases speedily to a just result, and being effective in our use of resources. Innovation is using the most effective means of communicating with State Court customers, utilizing most effective methods of punishment, deterrence, and incentives and developing new ways of dealing with heavy caseloads. Finally and perhaps most importantly, recognizing that as public servants, service to the community and the taxpayer are and will remain our highest calling. Every member of the State Court family is dedicated to providing the best possible customer service. Everyone serves a vital part, from jurors who serve sometimes at great personal cost and inconvenience, to law enforcement who work all night and must testify the next morning, to defendants who are charged with crimes but are presumed innocent until proven guilty. Their time must not be wasted, and we must do our upmost to ensure as smooth an experience as possible with the Court. That is our mandate, and while we may fail to achieve the highest level of service on occasion, we will never fail to try. Thank you for visiting. Click any of the links below to select an important link.